Width:1000mm/1219mm/1250mm/1500mm/1524mm/1829mm or as customer’s requires. 5. Length:1000mm-6000mm,or as customer’s requires. 10. Delivery:7-10 days after the order. 11. Packaging:Seaworthy Export Standard or as customer's requests. 4. Chemical/Pharmaceutical – pressure vessels, process piping. 5. Oil and Gas – platform accommodation, cable trays, subsea pipelines. 6. Medical – Surgical instruments, surgical implants, MRI scanners. 7. Food and Drink – Catering equipment, brewing, distilling, food processing. 8. 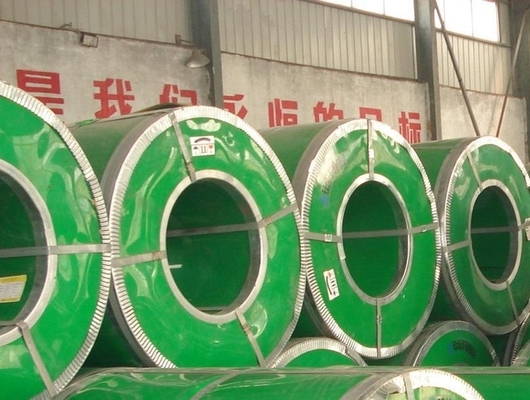 Water – Water and sewage treatment, water tubing, hot water tanks. 9. General – springs, fasteners (bolts, nuts and washers), wire. 1, High quality: Using lastest automated control equipment to ensure high quality 410/420 stainless steel coil quality, such as AGC system.